Reaction-telegraph equation (RTE)—a nonlinear partial differential equation of mixed parabolic-hyperbolic type—is believed to be a better mathematical framework to describe population dynamics than the more traditional reaction–diffusion equations. Being motivated by ecological problems such as habitat fragmentation and alien species introduction (biological invasions), here we consider the RTE on a bounded domain with the goal to reveal the dependence of the critical domain size (that separates extinction from persistence) on biologically meaningful parameters of the equation. 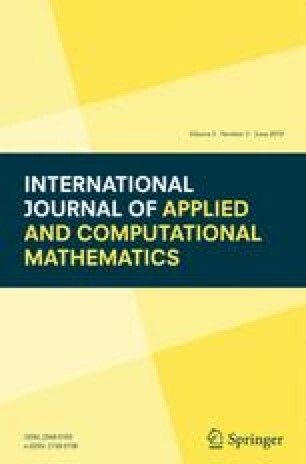 Since an analytical study does not seem to be possible, we investigate into this critical domain problem by means of computer simulations using an advanced numerical algorithm. We show that the population dynamics described by the RTE is significantly different from those of the corresponding reaction–diffusion equation. The properties of the critical domain are revealed accordingly. This work was supported by the Universidade Estadual de Londrina-BR and Brazilian Federal Agency for Support and Evaluation of Graduate Education—CAPES (Eliandro R. Cirilo/PROGRAMA DE POS-DOC—Grant No. 88881.120111/2016-01). This study was done during the research visit of E.R.C. to the University of Leicester (UK). E.R.C. therefore expresses his gratitude to the University of Leicester for the hospitality and supportive research environment. The publication has been prepared with the support of the “RUDN University Program 5-100” (to S.P. ).